The Insurance Regulatory and Development Authority of India (Irdai) has tightened its norms for foreign reinsurance companies opening branch offices in India. With appointment and chief executive remuneration to be monitored by the regulator, apart from higher retention within the country, reinsurers are of the view that these firms may not open up multiple offices in India. Currently, foreign reinsurers operate in India through representative offices which would have to be closed within six months of grant of certificate of registration to function as a branch office. In its final norms on setting up branches by foreign reinsurers in India, the regulator said they have to get prior approval on the appointment, reappointment, removal and managerial remuneration payable to the chief executive officer of the branch office. To open offices in different parts of the country, all of these reinsurers require the approval of Irdai. “While foreign reinsurers have been doing business in India via representative offices, setting up branch offices would mean a lot of regulatory conditions would be applicable to them. Hence, only a handful would want to set up branch presence and they too would not have multiple offices,” said a senior Indian reinsurance industry executive. These norms would be applicable only to foreign reinsurers setting up branches in India. Newer domestic reinsurers who are granted licences would have a different set of rules applicable to them. Regulatory officials expect five-six foreign reinsurers to apply for a branch licence. Apart from a good credit rating from rating agencies, Rs 100 crore will have to be infused into the branch office. Irdai has said it will take a decision on the number of reinsurers that will be permitted to set up branches in a year keeping in view the orderly growth of the insurance and reinsurance market, national interest, and any other related aspects. Another provision, according to reinsurers which could deter foreign reinsurers from setting up Indian offices, is that every Indian insurer would have to give first preference to Indian reinsurers in their offer for participation in its facultative and treaty surpluses. India has General Insurance Corporation of India as its sole domestic reinsurer, though some other domestic entities have applied for reinsurance licences. 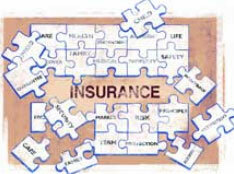 Every branch office has to maintain a minimum retention of 50 per cent of the Indian reinsurance business. Further, the branch offices granted approval would not be eligible for order of preference for cessions by Indian insurers as those would be available to Indian reinsurers for a minimum period of three years. Consultants who have been advising global reinsurers entering India are of the view that while a branch office will help in a closer review of the risk, thereby improving pricing for the clients, restrictions on the number of offices each year could be detrimental. “While the regulator is trying to protect the interest of domestic reinsurers, long waiting period to set up branch offices can dissuade reinsurers from applying,” an insurance consultant said.